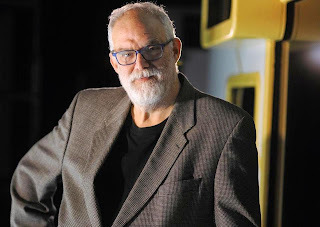 On this episode of STAGE GROK, I talk with William Finn, Tony Award winning composer and lyricist of The Marvin Trilogy, Romance in Hard Times, Elegies: A Song Cycle, A New Brain, The 25th Annual Putnam County Spelling Bee, Little Miss Sunshine, and other shows. We talk about his work, his writing process, his teaching, his artistic influences, and what he thinks about the state of the American musical theatre today. Check out Finn's Wikipedia page for more information about his work and career. Also check out my background and analysis eassys about his shows March of the Falsettos and A New Brain, which Finn mentions in the interview.